Treat your skin right with our luxurious, 100% alcohol-free balm. Our unique blend is formulated to cool and sooth as it hydrates and heals. Use after shaving or any time you want a relaxing, rejuvenating experience. Organic aloe vera juice, olive oil and jojoba oil provide a pure, healthful foundation upon which we've added pure witch hazel to sooth your skin and help prevent razor burn. A blend of natural essential oils were then added to our scented varieties to complement the effects of the aloe and witch hazel, including a touch of menthol-containing essential oils for their cooling properties and tea tree oil to kickstart the healing process. This Adirondack scent is Absolutely Heavenly! One spritz, close your eyes and you feel like you are tucked into the deep woods of the Adirondacks. Beautiful products, beautiful company, beautiful creator. Awesome product coupled with an old souled seller makes the balm and the buying process quite remarkable. I have pretty sensitive skin and have struggled to find products that were natural and helped lessen razor burn. 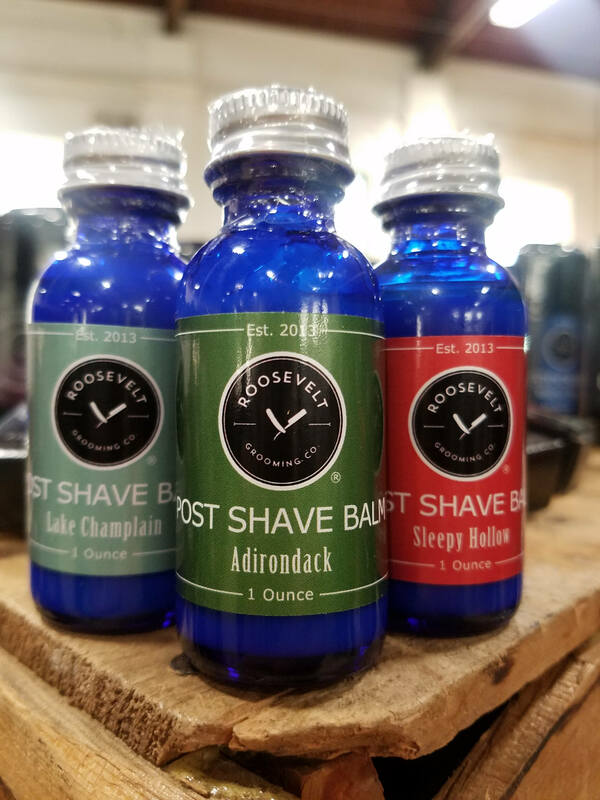 I know the owner of Roosevelt grooming and was anxious to try his stuff because wouldn't it be great to support a small, local business AND have clear, comfortable skin after shaving?? He recommended the preshave oil and the after shave lotion. After adding these into my regimen I've had *zero* razor burn/irritation. And I absolutely love the smell, I use the pine bush scent. Great product and totally affordable, a little bit goes a long way! Thanks for saving my face! Very happy with product, highly recommend!!!! !